The phrase υιου δαβιδ υιου αβρααμ ("the son of David, the son of Abraham") has a gematria value of 1926, which is the sum of the first 436 digits of the natural logarithm (e). The gematria of βιβλος ("The book") is a pi number (314). Beginning from position 436 in pi are the three digits 611, which is the gematria value of תורה (Torah). The word אמת (emeth), meaning "truth" has a gematria of 441 (or 21 squared), and the first 441 digits of pi squared sum to 1926. In the spirit of truth, who is this son of David, the son of Abraham? The unpronounceable יהוה (YHWH) has a gematria value of 26. In the 26th verse, God said, נעשה אדם בצלמנו ("Let us make man in our image") which has a gematria value of 688. This value is shared by the Greek ιησου (Iesou) which is translated as "Jesus" 338 times in the KJV. The phrase וייצר יהוה אלהים את האדם עפר מן האדמה ויפח באפיו נשמת חיים ("And the LORD God formed man of the dust of the ground, and breathed into his nostrils the breath of life") has a gematria value of 2435. The 888th verse in the Torah has a gematria value of 2435. The first occurrence of 338 in e begins from position 338. Incredibly, the 338th digits respectively of pi, phi and e are 503. The first 65 digits of e sum to 338 and the first 65 verses in the Torah contain 888 Hebrew words. Beginning from position 165 in pi are the four digits 2701. This is the gematria value of the first verse in the Torah (Gen 1:1). 165 is the 126th composite number, and the first 26 digits of pi sum to 126. When asked, Which is the great commandment? Jesus quoted Deuteronomy 6:5 (see Mat 22:37). בכל לבבך ובכל נפשך ובכל מאדך ("with all thine heart, and with all thy soul and with all thy might") has a gematria value of 737. Beginning from position 503 in phi are the four digits 1795. Also incredibly, the 1795th digits respectively of pi, phi and e are 737. Following this occurrence of 1795 in phi are the four digits 2368.
ιησου, the same is Ιησους. Beginning from position 2017 in phi are the two digits 26, and the first 2017 digits of phi include 26 occurrences of 26. The first occurrence of ιησου χριστου in the Textus Receptus occurs in it's very first verse. Beginning from position 103 in pi are the four digits 1480, the gematria value of χριστος (Christos) meaning "Christ". But of course Abraham began life as Abram (see Gen 17:5). This verse has a gematria value of 503, the same is the number of occurrences of ιησους ("Jesus") in the Textus Receptus. When the Jews asked Jesus, Hast thou seen Abraham? Jesus replied, "Before Abraham was, I am." (John 8:58). πριν αβρααμ ("Before Abraham was") has a gematria value of 668. Beginning from position 668 in pi are the five digits 30146. Beginning from position 30,146 in pi are the three digits 216, which is the number of verses in which the word "Abraham" appears in the KJV. The 30,146th verse describes Jesus sitting on the right hand of God. In the spirit of truth and wisdom, Jesus said, "Before Abraham was, I am." (John 8:58). The phrase εγω ειμι (ego eimi) "I am" has a gematria value of 873. The first occurrence of 873 in pi is followed by the three digits 115. This is the gematria value of הנני (hineni) meaning "Here I am". This first occurrence of 873 begins from position 918, which is the gematria value of כי אני יהוה לא שניתי ("For I am the Lord, I change not") Mal 3:6. The phrase אני יהוה לא שניתי ("I am the Lord, I change not.") has a gematria value of 888 ("Jesus"). Abraham was born in the year 1948 on the Hebrew calendar. In e, the first occurrence of 1948 is followed by 668 ("before Abraham was") and preceded by 555. The first occurrence of 888 in phi is preceded by 640, and the first occurrence of 888 in pi begins from the 640th prime number. In the Euler - Mascheroni constant (gamma), the first occurrence of 640 begins from position 935. The word "Jesus" appears in 935 Bible verses (KJV). Fibonacci is famous for the number sequence which bears his name. It begins with F(0) = 0, F(1) = 1 which builds to a simple mathematical progression 0, 1, 1, 2, 3, 5, 8, 13 .... You get the picture. These numbers can be used to approximate phi (the golden ratio). This is done by dividing any number in the sequence by it's predecessor. The greater the number, the more accurate becomes the approximation. The gematria value of אברהם ("Abraham") is 248, and dividing the 248th Fibonacci number by it's predecessor gives an approximation of phi accurate to 102 digits (after the decimal point). In Hebrew, תשעים ותשע (tish'iym tesha') "ninety and nine" has a gematria value of 1596, which is the sum of the 216th prime and 216th composite numbers. the word "Abraham" appears in 216 verses in the Bible (KJV). The words God addressed to the ninety-nine year old Abraham (אני אל שדי התהלך לפני והיה תמים) have a gematria value of 1552. The first 1552 digits of phi sum to 6880, or ten times 688. This is the gematria value of ιησου (Iesou) "Jesus", so it's interesting that ten times אברהם ("Abraham") is 2480. This is the number of Hebrew words in the first 186 verses of the Torah (Gen 1:1 - Gen 8:2). The word "Abraham" appears 231 times in the KJV, and "Abram" 54 times. 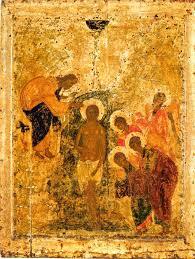 Jesus Christ, the son of David, the son of Abraham (Mat 1:1). In Hebrew משיח בן דוד (Moshiach ben David) "the son of David" has a gematria value of 424. The following three digits are 541 and 117 respectively. In the Torah, the first three chapters contains 80 verses consisting of 1109 Hebrew words. The giving of the Torah at Mt. Sinai occurred in the year 2448 on the Hebrew calendar, in the presence of all Israel: six hundred thousand men (Exo 12:37). Each year, this event is celebrated on a holiday called "The Feast of Weeks" or in Hebrew שבעות (Shavuot) which means "weeks" (see Deu 16:10). Beginning from position 600,000 in pi is the 611th occurrence of the three digits 778. When Moses asked, Whom shall I say sent me? (Exo 3:13) God replied (in a pi verse) אהיה אשר אהיה (a'hayah asher a'hayah) "I AM THAT I AM" which has a gematria value of 543 (Exo 3:14). When the LORD appeared to Abraham, he said, I am the Almighty God (אל שדי) El Shaddai which has a gematria value of 345. After being baptized by John the Baptist, Jesus fasted in the wilderness for 40 days and 40 nights before being tempted by Satan (Mat 4:1-11). The first occurrence of 40 in e begins from position 66, and is preceded by the four digits 2772. Beginning from position 40 in e are the five digits 24709. In the 24,709th verse in the KJV, Jesus said, How say the scribes that Christ is the son of David? The phrase οτι ο χριστος υιος εστι δαβιδ ("that Christ is the son of David") has a gematria value of 3146. Occurring at position 3146 in pi, phi and e respectively are the digits 358, the gematria value of משיח (Moshiach) meaning "Messiah". The gematria value of ιησους ("Jesus") is 888. Any specific three digit number is expected to occur (on average) once in a thousand random digits. But 888 is found at position 35 in the 248th Fibonacci Number. 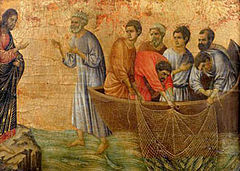 The first 35 digits of F(248) sum to 153, the same as the number of fish caught in the net following the instructions of the resurrected Jesus (John 21:11). God appeared to Abraham in verse number 399, the first verse of the 17th chapter. Beginning from position 399 in phi are the three digits 883. 153 is the sum of the 29th prime and 29th composite numbers. The first 29 prime numbers sum to 1480 ("Christ"). The 29th composite number is 44, which is the gematria value of דם (dam) meaning "blood". The word "blood" appears 447 times in the KJV, and occurring at index position 447 in pi, phi and e respectively are the digits 883. The remaining digits sum to 66, the difference in the number of occurrence of אברהם (Abraham) in the Tanakh (139), and Αβρααμ (Abraham) in the Textus Receptus (73). Beginning from position 34 in F(248) + F(145) are the four digits 2368, the gematria value of Ιησους Χριστος ("Jesus Christ"). God appeared to Abraham in the 399th verse (Gen 17:1). The gematria value of Ιησους Χριστος ("Jesus Christ") begins from position 34 in F(248) + F(145). Beginning from position 34 in F(248) are the four digits 3888. This is the gematria value of the verse in which Jacob's name became Israel (Gen 32:28), a value also shared by a verse in which Jesus asked his disciples, Do ye now believe? (John 16:31). The word πιστευω ("believe") has a gematria value of 1795, and occurring at index position 1795 in pi, phi and e respectively are the digits 737 ("with all thine heart, and with all thy soul, and with all thy might"). In Hebrew, "believe" is אמן (aman) Strong's H539. The 44th prime, and 44th composite numbers sum to 256, which is the number of verses in which the words "Jesus" and "Christ" appear together in the KJV. The number 44 has an amazing connection to the ineffable name of God. The word יהוה (YHWH), also known as Hashem (the name) or the Tetragrammaton (four-letter name), means "the existing One" (Strong's H3068). The word אמן ("believe") Strong's H539 is translated a total of 108 times in the KJV. And the first 108 composites sum to 8168. The word יהוה is the Tetragrammaton (four-letter name). The first 4 prime numbers sum to 27, whilst the first four composites sum to 17. The first 44 digits of pi, phi and e have a combined sum of 640. The 640th prime number is 4751, which is the position of the first occurrence of 888 in pi. The first occurrence of 888 in phi is preceded by the three digits 640. The first occurrence of 640 in e is preceded by the three digits 143 ("now do ye believe?"). The first occurrence of 888 in pi is followed by the three digits 800, which is the gematria value of κυριος (kurios) meaning "Lord". Beginning from position 800 in phi are the three digits 534. The words "Jesus" and "Christ" appear together in 256 Bible verses (KJV). the first occurrence of 800 in e begins from position 256. The gematria value of יהוה (YHWH) is 26, and the 26th prime number is 101. The 101st psalm begins "Of David, a psalm: I will sing of mercy and judgment" Psa 101:1. The consecutive words מזמור חסד ומשפט ("a psalm: of mercy and judgment") has a gematria value of 800. Occupying position 2832 in pi, phi and e respectively are the three digits 888. Which is the gematria value of Ιησους ("Jesus"). 2832 is the gematria value of the verse in which we learn that Jared lived 800 years after he fathered Enoch (Gen 5:19). In this verse, the term שמנה מאות שנה ("eight hundred years") has a gematria value of 1197. The first 1000 digits of pi are completed by the four digits 1989. These four digits are surrounded by 420 and 380. And 1688 is the gematria value of κυριος Ιησους ("Lord Jesus"). The Lord Jesus said, he that believeth in me has everlasting life (John 6:47-48). The 1000th composite number is 1197. Occupying position 1197 in pi, phi and e respectively are the three digits 446. In Hebrew, Jared is ירד (Yered) which has a gematria value of 214. The word רוח (ruwach) is Strong's H7307, which is translated as "Spirit" or "spirit" 232 times in the Bible (KJV). This is the gematria value of יהי אור ("Let there be light") from the third verse in the Torah (Gen 1:3). In the Koine Greek Septuagint, this phrase is translated as γενηθήτω φῶς (genetheto phos) which has a gematria value of 2683. In the Torah, "Let there be light" has a gematria value of 232, whilst the third verse has a total value of 813. In the fourth verse, the phrase ויבדל אלהים בין האור ובין החשך ("And God separated the light from the darkness") also has a gematria value of 813. Jared was 162 years old when he fathered Enoch (Gen 5:18). The only other word to appear 214 times in the Tanakh is עולם (owlam) meaning "ever" or everlasting". In the constants, these three numbers (162, 232 and 813 combine spectacularly. The word עולם (owlam) is Strong's H5769, which is translated as "ever" 272 times in the Bible (KJV). The light which was created in the third verse was the primordial light. The sun and the moon weren't created until the fourteenth verse. The term ויאמר אלהים ("And God said") has a gematria value of 343, whilst יהי מארת ("Let there be lights") has a value of 666. God created the great lights in verse number 14. This first occurrence of 343 in pi is surrounded by 495 and 014, which sum to 509. The first occurrence of 509 in pi is followed by the three digits 838. This first occurrence of 509 begins from position 1,146. Between verses three ("Let there be light") and fourteen ("Let there be lights") are ten verses which have a total gematria value of 28,357. This is the 34th occurrence of 962 in e.
All the days of Jared's life were 962 years, during which he fathered Enoch when he was aged 162. The first occurrence of 962 in e begins from position 1750, and is immediately followed by the 162nd prime number. And in the 125th verse we learn that Jared lived 800 years after he begat Enoch (Gen 5:19). 800 is the gematria value of a Psalm which perfectly complements Pro 25:3. The phrase יהוה בציון גדול ("The LORD is great in Zion") has a gematria value of 227, which is the 49th prime number. We know Enoch never died from the phrase ויתהלך חנוך את האלהים ואיננו ("And Enoch walked with God, and was not") from Gen 5:24, which has a gematria value of 1170. Beginning from position 66 in pi are the three digits 781. The 296th Triangle Number is 43,956. Beginning from position 43,956 in e are the three digits 525, which is the combined sum of the first 36 digits of pi, phi and e.
525 is the gematria value of יהוה צבאות which is translated as "LORD of hosts" in the KJV. This remarkable coincidence is reminiscent of the phrase אני יהוה לא שניתי ("I am the LORD, I change not") from Mal 3:6, which has a gematria value of 888. The word יהוה ("LORD") has a gematria value of 26, and the 26th prime number is 101. The phrase ורם הוא על ("and he is high above") from Psa 99:2 has a gematria value of 358, the same as משיח (Moshiach) meaning "Messiah". We know that the third verse in the Bible has a gematria value of 813 (Gen 1:3), the same as "and God divided the light from the darkness" (Gen 1:4). And the first 121 verses in the Torah contain 1615 Hebrew words. Proverbs 25:3 has a gematria value of 1750, which are the number of Hebrew words in the Torah's first 133 verses. Of those 550 "heaven verses", Pro 25:3 is the 218th. The 332nd "heaven verse" is Mat 7:21, which has a gematria value of 12934. The first occurrence of 12934 in pi begins from position 266,844. This is the hypotenuse of a Pythagorean Triangle with side lengths 666 and 888. The first 244 digits of pi sum to 1110, and beginning from position 244 in pi are the four digits 2019. Beginning from position 103 in pi are the four digits 1480 ("Christ"). The word ציון ("Zion") has a gematria value of 156. The first 156 digits of pi sum to 711. Interestingly, the first occurrence of 711 in pi begins from position 1184, which is side B of another Pythagorean Triangle with Side A = 888 and Hypotenuse 1480. The following three digits are 390, the gematria value of שמים ("heaven"). Beginning from position 711 in pi are the three digits 212, the gematria value of האור ("the light"). Enoch, who never died, was the son of Jared and the father of Methuselah, the two longest lived individuals in the Bible. Enoch was 65 years old when he fathered Methuselah, and the first 65 verses in the Torah contain 888 Hebrew words. The 395th digits of pi, phi and e are respectively 111. The first occurrence of 111 in pi begins from position 153, which is the number of times Strong's H6726 is translated as "Zion" in the KJV. Enoch was the generation between Jared, who lived 962 years, and Methuselah, the oldest man in the Bible at 969 years. And 294 is the gematria value of מלכי-צדק ("Melchizedek"), the priest of the most high God who met Abraham following the slaughter of the kings at the valley of Shaveh (Gen 14:18, Heb 7:1). Interestingly, Melchizedek's death is not recorded in the Bible. We have that God created light on the first day with a gematria value of 813 (Gen 1:3) and then with the same gematria value he divided the light from the darkness (Gen 1:4). Then on the fourth day, he said, Let there be lights, which has a gematria of 666 (Gen 1:14). Here we turn to the prophet Amos, who has some profound thoughts on the subject. In the earliest reference to the day of the LORD, Amos said, יום יהוה הוא חשך ולא אור ("the day of the LORD is darkness, and not light") which has a gematria value of 666 (Amo 5:18). Two verses later, Amos re-emphasized his dire warning when he said, הלא חשך יום יהוה ולא אור ("Shall not the day of the LORD be darkness, and not light?") which has a gematria value of 690 (Amo 5:20). in between positions 813 and 1480 in pi are 666 digits which sum to 3030 ("The Son of man"). Jesus is referred to as the Son of man in 84 Bible verses (KJV), which is the gematria value of חנוך ("Enoch"). The 690th digits of pi, phi and e respectively are 962, all the years of Jared's life. After he fathered Enoch, Jared lived another 800 years (Gen 5:19). Melchizedek was the priest of the most high God (Gen 14:18). The most high is עליון (Elyon) which has a gematria value of 166. In this verse, the term αρχιερευς ("an high priest") has a gematria value of 1421. To read the pseudepigraphal Book of Enoch, click here. The Book of Proverbs begins, "The words of Solomon, the son of David" (Pro 1:1). The term שלמה בן דוד ("Solomon, the son of David") has a gematria value of 441, the same as אמת (emeth) meaning "truth". Jesus is Messiah, the son of David (Mat 1:1). In Hebrew משיח בן דוד ("Messiah, the son of David") has a gematria value of 424. Pro 16:16 is the 109th of the 164 "gold" and "silver" verses in the Bible. the first 29 prime numbers sum to 1480, the gematria value of Χριστος ("Christ") which means "Messiah"
The 109th composite number is 144, and the first 144 digits of pi sum to 666. The words "wisdom" and "understanding" appear together in 53 Bible verses (KJV) with 24 of those in the Book of Proverbs. The first occurrence of 110 in pi is followed by the three digits 555. Jesus said, I am Alpha and Omega (Rev 1:7; 1:11; 6:20; 22:13), which are the first and last letters of the Greek alphabet. Their Hebrew equivalent are א ת (Aleph and Tav). The word את (eth) appears 7372 times in the Tanakh, which is more than any other word. Beginning from position 14,070 in e are the four digits 7372. 7*3*7*2 = 294, which is the gematria value of מלכי-צדק ("Melchizedek"). Christ was glorified by God to be made an high priest, after the order of Melchizedek (Heb 5:5-6). He was ordained when God said υιος μου ει συ εγω σημερον γεγεννηκα σε ("Thou art my Son, to day have I begotten thee") which has a gematria value of 3436. The word "Jesus" appears in 935 verses in the KJV. The first occurrence of 935 in pi begins from position 1,346. This is the gematria value of the verse in which Melchizedek makes his appearance, when he met Abraham returning from battle. The first occurrence of 935 in pi is followed by the three digits 112, which is the gematria value of יהוה אלהים (YHWH Elohim) translated as "LORD God" in the KJV. The digits 935 are surrounded by 501 and 112. The term of יהוה אלהים (YHWH Elohim) appears 37 times in the Tanakh. The 37th Triangle Number is 703, which is the gematria value of the 6th and 7th words in the Torah ואת הארץ (vayeth ha'eretz) translated as "and the earth" Gen 1:1. The word הארץ ("the earth") appears 935 times in the Tanakh. The 6th and 7th digits in pi are 26 (YHWH). Melchizedek brought forth bread and wine to Abraham. The term לחם ויין ("bread and wine") has a gematria value of 154. The first 37 digits of pi, phi and e sum to a total of 540. The sixth and seventh words in the Torah (ואת הארץ) have a gematria value of 703 including the Aleph Tav את (eth) which is generally untranslated in English but is a sign of the definite direct object (Strong's H853). This word is made up of the first and last of the 22 letters that make up the Hebrew alphabet, and is translated a total of 22 times in the KJV. In the Greek alphabet, the equivalent of the Aleph Tav (the first and the last) is Alpha Omega. Jesus Christ said, εγω ειμι το α και το ω ("I am Alpha and Omega") which has a gematria value of 2445 (Rev 1:8; 1:11; 21:6' 22:13). Occupying position 2046 in pi, phi and e respectively are the digits 951, the gematria value of שמע ישראל (Shema Yisrael) meaning "Hear, O Israel". In Hebrew, מלך שלם ("king of Salem") has a gematria value of 460. Occupying position 460 in pi, phi and e respectively are the digits 919, which is the gematria value of μελχισεδεκ ("Melchisedec"). The first 460 digits of pi sum to 2020, which is the gematria value of κατα την ταξιν μελχισεδεκ ("after the order of Melchisedec"). In the constants, the first occurrence of 460 is followed by 955 (pi) 749 (phi) and 668 (e). Between positions 294 and 919 in pi are 624 digits which sum to 2772. Moses asked God, When I come to the children of Israel and say, The God of your fathers has sent me unto you; What shall I say when the ask, What is his name? (see Exo 3:14). The phrase "after the order of Melchizedek" appears once in the Bible, in the 110th psalm. The total gematria value of the seven verses of the 110th psalm is 13,030. Beginning from position 13,030 in phi are the three digits 919, the gematria value of μελχισεδεκ ("Melchisedec"). The phrase אתה כהן לעולם ("Thou art a priest for ever") has a gematria value of 657, which is the sum of the first 143 digits of pi. Do ye now believe? Psa 110:4 is verse number 15791 in the KJV. The first occurrence of 15791 in phi is preceded by the four digits 2772, which is the 2368th composite number ("Jesus Christ"). A priest for ever, after the order of Melchizedek. The 2,458th digits of pi, phi and e respectively are 143 (Do ye now believe?). The number 460 has profound connections to the generations of Jared, Enoch and Methuselah. Jared, father of Enoch and grandfather of Methuselah, was born in the year 460 on the Hebrew calendar. Jared's son Enoch was taken by God when he was 365 years old (Gen 5:23-24). Melchizedek was the king of Salem. In Hebrew מלך שלם ("king of Salem") has a gematria value of 460 (Gen 14:18), and in Greek βασιλευς σαλημ ("king of Salem") has a gematria value of 1127 (Heb 7:1-2). The first occurrence of 962 in pi begins from position 331, and beginning from position 1127 in pi are those same three digits 331. The question מי מכלכל את יום בואו ("who may abide the day of his coming?") has a gematria value of 662. It's interesting then, that 5779 is the sum of the 666th prime and 666th composite numbers, and on the Hebrew calendar the first day of 5779 is the 253rd day of the Gregorian year 2018 (September 10th). The first occurrence of 662 in pi overlaps the first occurrence of 2018; where 2018 begins from position 4068. This is the gematria value of another verse from Malachi, a messianic prophecy from the final chapter of the Old Testament. God appeared to Abraham when he was ninety years old and nine (Gen 17:1). The first occurrence of 99 in pi begins from position 44. The following three digits are 375, which is the gematria value of אנכי אלהי אברהם ("I am the God of Abraham") first spoken by God to Abraham's son Isaac at Beersheba (Gen 26:24). The term "I am the God of Abraham" appears 13 times in the Bible (KJV), and beginning from position 13 in pi are the two digits 79. There are 22 letters in the Hebrew alphabet. The first (aleph) and last (tav) have a combined gematria value of 401. This sets off a remarkable chain of coincidences between the constants pi and phi. 79 is the sum of the 16th prime and 16th composite numbers. The first 16 digits of pi sum to 79, and the first 16 digits of pi, phi and e have a combined sum of 248, the gematria value of אברהם ("Abraham"). It's no surprise that the 16th composite number is 26, the gematria value of יהוה (YHWH), also known as the Tetragrammaton (four letter name). The first four digits of pi, phi and e have a combined sum of 44. The LORD (יהוה) appeared to Abraham when he was ninety years old and nine. Occurring at position 99 in pi, phi and e respectively are the digits 777. Beginning from position 777 in pi are the two digits 99. In the Bible's 137th verse, we read that Lamech (the father of Noah) lived fully 777 years (Gen 5:31). There is another Lamech in the Bible, and in the 99th verse we read that he took unto him two wives (Gen 4:19). The first of these was עדה ("Adah"), which has a gematria value of 79. This Lamech was the son of מתושאל ("Methusael") which has a gematria value of 777. In a further coincidence, the first occurrence of the 66th prime number (317) begins from position the 33rd prime number in both pi and phi. Beginning from position 33 in F(317) are the three digits 112. When Nahor was 29 years old, he begat Terah (Gen 11:24). In the 293rd verse, Terah lived 70 years, and begat Abram, Nahor and Haran (Gen 11:26). 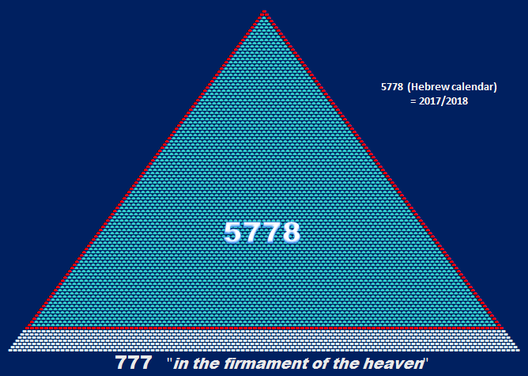 The term שבעים שנה ("seventy years") has a gematria value of 777, whilst את אברם את נחור ואת הרן ("Abram, Nahor and Haran") has a gematria value of 1971. Gen 11:26 has a gematria value of 3446. The first occurrence of 3446 in pi begins from position 216, which is the number of verses in which the word "Abraham" appears in the Bible (KJV). The following three digits are 253 and 931, which together sum to 1184. This is side length b of the Pythagorean triangle, where side length a = 888 (Jesus) and hypotenuse = 1480 (Christ). Beginning from position 3552 in phi are the three digits 167, followed by 001. Occupying position 001 in pi, phi and e respectively are the digits 167. This is the gematria value of יהוה אלהינו יהוה אחד ("the LORD our God is one LORD") Deu 6:4. The first occurrence of 167 in phi is followed by the four digits 1112. The Shema prayer begins "Hear O Israel" (Shema Yisrael). The word ישראל ("Israel") has a gematria value of 541, and the first occurrence of 541 in pi begins from position 1112. Beginning from position 541 in pi is the 61st occurrence of the number 1, surrounded by 737 and 907. שמע ישראל (Shema Yisrael) has a gematria value of 951, and beginning from position 951 in pi are the two digits 18, surrounded on both sides by the four digits 5778. The first occurrence of 18 in pi begins from position 424, which is the gematria value of משיח בן דוד (Moshiach ben David). The father of the first Lamech (from the line of Cain) was Methusael (gematria = 777), and the second Lamech (descended from Seth) lived 777 years. Recall the coincidences regarding the numbers 44 and 99 in pi and phi. The digits in between positions 44 and 99 in pi and phi have a combined sum of 471. Beginning from position 951 (Shema Yisrael) is the 10th occurrence of the two digits 18, which is the 10th prime number. 5778 is the 5020th composite number. The first occurrence of 5020 in pi begins from position 9801. 8775 is the sum of all the Triangular numbers from 13 to 37 inclusive. The 44th digits of pi, phi and e respectively are 979. And the 99th digits are 777. The year 5778 on the Hebrew calendar began on September 21, 2017. Terah begat Abram when he was 70 years (Gen 11:26). The term שבעים שנה ("seventy years") has a gematria value of 777. God appeared to Abraham when he was ninety years old and nine (Gen 17:1). In the 99th verse we meet Lamech (Gen 4:19), the son of Methusael (מתושאל) which has a gematria value of 777. The term ומתושאל ילד אתלמך ("and Methusael begat Lamech") (Gen 4:18) has a gematria value of 1318, and the first occurrence of 1318 in pi is followed by the four digits 1480 ("Christ"). Significantly, this is the second occurrence of 1480 in pi. Gen 4:19 has 11 Hebrew words, and beginning from position 777 in pi is the 11th occurrence of 99. The first 6555 digits of pi sum to 29,645. Verse number 29,645 in the KJV is 1 Thessalonians 5:23, where the phrase τηι παρουσιαι του κυριου ημων ιησου χριστου ("the coming of our Lord Jesus Christ") has a gematria value of 6226. Beginning from position 6226 in pi are the three digits 424 (Moshiach ben David), meaning "Messiah, the son of David". The word "sword" appears 424 times in 384 Bible verses (KJV). In Hebrew, "sword" is חרב (chereb) which has a gematria value of 210. There are in fact two words in the KJV which appear 424 times. Those words are "sword" and "mouth", and (with his countenance as the sun) Jesus used them both in Rev 2:16. In Greek, "sword" is ρομφαια (rhomphaia) which has a gematria value of 722.
beginning from position 722 in pi are the three digits 640, the gematria value of שמש (shemesh) meaning "sun"
The phrase μετανοησον ει δε μη ερχομαι σοι ταχυ ("Repent, or I will come upon thee quickly") has a gematria value of 3273. Beginning from position 3273 in pi are the three digits 951, which is the gematria value of שמע ישראל ("Hear, O Israel"). For which see Isa 1:20. Rev 2:16 was part of the discourse addressed to the angel of the church in Pergamos which began in Rev 2:12. In the first verse, the term את השמים ואת הארץ ("the heaven and the earth") has a gematria value of 1499. The 499th prime number is 3559, which is the gematria value of Psa 37:14. The term להפיל עני ואביון ("to cast down the poor and needy") has a gematria value of 360. The phrase חרב פתחו רשעים ("The wicked have drawn out the sword") has a gematria value of 1324. 296 is the gematria value of הארץ (ha'eretz) meaning "the earth"
The term "the earth" appears in 781 Bible verses (KJV). Rev 2:16 has a gematria value of 9999. The 424th verse in the Bible was the selfsame day the 99 year old Abraham was circumcised (Gen 17:26). Occupying position 424 in pi, phi and e respectively are the digits 107. Mal 1:11 has a gematria value of 4454, whilst the phrase גדול שמי בגוים ("my name shall be great among the Gentiles") has a value of 454. Malachi referred to the Messiah as "the sun of righteousness" (Mal 4:2). The phrase וזרחה לכם יראי שמי שמש צדקה ומרפא בכנפיה ("But unto you that fear my name shall the Sun of righteousness arise with healing in his wings;") has a gematria value of 2220, the same as Ιωαννης βαπτιστης ("John the Baptist"). The first occurrence of 888 in phi is preceded by the three digits 640, which is the gematria value of שמש (shemesh) meaning "sun". Jesus is the Sun of righteousness. Occupying position 888 in pi, phi and e respectively are the digits 783. Beginning from position 783 in pi are the three digits 973.
the word "Jesus" appears 973 times in the Bible (KJV). Mal 4:2 is verse number 23,141 in the KJV. The first occurrence of 23141 in pi is followed by the four digits 2683, which is the gematria value of Isa 49:10 (also see Rev 7:16). The phrase לא ירעבו ולא יצמאו ("They shall not hunger nor thirst;") has a gematria value of 503, which is the number of times the word ιησους ("Jesus") appears in the Textus Receptus. The 490th prime number is 3511, which is the gematria value of τηι ρομφαιαι του στοματος μου ("the sword of my mouth") Rev 2:16. How long? Not long. The year 5778 on the Hebrew calendar coincides with 2018 (Gregorian). Mal 4:2 has a gematria value of 4068. The first verse in the New Testament is the 23,146th verse in the Bible (KJV). Beginning from position 23,146 in pi is the first occurrence of the four digits 6000. On the right hand are the four digits 1399, the gematria value of εν δεξιαι του θεου ("on the right hand of God") see Heb 10:12. There is too much here to be dismissed as mere coincidence. You'd be a brave man (or a fool) to think otherwise.